Come and create unforgettable memory with your family and friends in this fun tour! The guide wasn’t there during the supposed meetup time, which made a number of us confused. Otherwise, trip is informative. Your visit to New York wouldn't be complete without a tour to the Statue of Liberty, a colossal neoclassical sculpture in New York City. 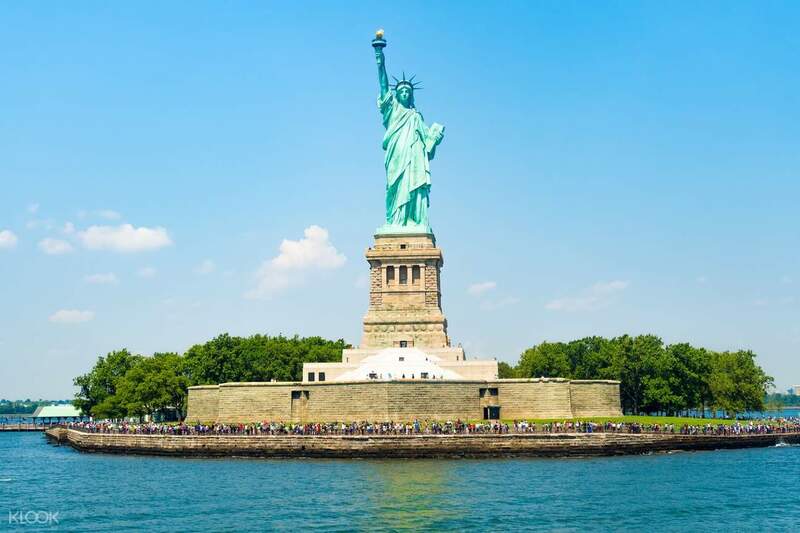 This half day tour will take you to a ferry cruise to visit the iconic Statue of Liberty at Liberty Island. See the universal symbol of freedom and democracy which was a welcoming sight for the millions of immigrants in the 1800's. 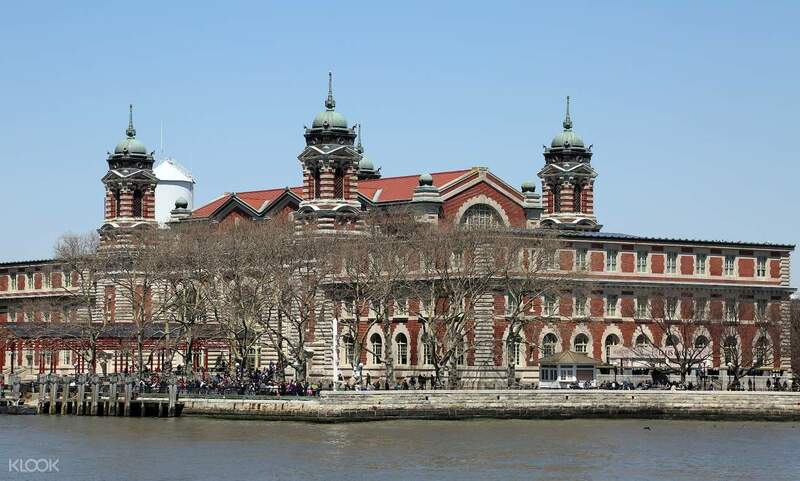 After exploring and learning about the history of Lady Liberty, you'll cruise to nearby Ellis Island. Walk through the now quiet halls of where millions of immigrants were welcomed when they arrived in America and tried to live the American Dream. This tour also gives you easy access to ferry lines with the skip-the-line ticket. 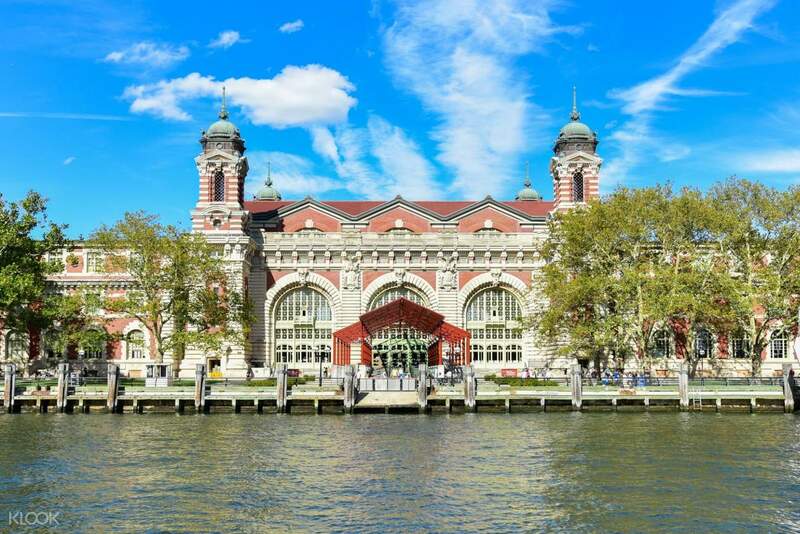 Complete your visit to New York City by taking this tour to one of the most historical places of America. The local travel agency is confused with the reservation and the tour guide need to call fee times for o confirm other than that the tour is good. The local travel agency is confused with the reservation and the tour guide need to call fee times for o confirm other than that the tour is good. it was a very good tour. it was a very informative and interesting tour. i loved our guide lulu. she made the tour so much more interesting. it was a very good tour. it was a very informative and interesting tour. i loved our guide lulu. she made the tour so much more interesting. The guide wasn’t there during the supposed meetup time, which made a number of us confused. Otherwise, trip is informative. The guide wasn’t there during the supposed meetup time, which made a number of us confused. Otherwise, trip is informative. They cancelled the tour.And now they're telling me that i need to contact klook which they should be the one doing it with all the hassle that they gave me. i need my refund for this and the one that i also booked with them which they cancelled too! They cancelled the tour.And now they're telling me that i need to contact klook which they should be the one doing it with all the hassle that they gave me. i need my refund for this and the one that i also booked with them which they cancelled too! Big disappoitment :( the tiurguide lady was completly useless.In Liberty Island she dud nit give the time and place for meetup after visit so people in the group were totally confused.No interesting information and she was actung like a kindergarden teachear.We dropped of after Liberty. Advice ; you better buy tickets in the harbour they are chipper and no need for guided tour at these attractions as they are self explanatory. Big disappoitment :( the tiurguide lady was completly useless.In Liberty Island she dud nit give the time and place for meetup after visit so people in the group were totally confused.No interesting information and she was actung like a kindergarden teachear.We dropped of after Liberty. Advice ; you better buy tickets in the harbour they are chipper and no need for guided tour at these attractions as they are self explanatory. The tour agency said that they didn't receive my signing up. The agency was polite enough though. At the end, I went to the islands by myself. Well, that's wonderful enough. But their non-recipt of my signing up made me wait for half an hour!!!!!!!!!!! The tour agency said that they didn't receive my signing up. The agency was polite enough though. At the end, I went to the islands by myself. Well, that's wonderful enough. But their non-recipt of my signing up made me wait for half an hour!!!!!!!!!!! Thank you for raising your concern to us. We sincerely regret to hear about the inconvenience you experienced, and we take your feedback extremely seriously. Your case has been noted and passed to the product manager for further investigation. Our specialist had assisted with your request. Your understanding will be much appreciated. Thank you for raising your concern to us. We sincerely regret to hear about the inconvenience you experienced, and we take your feedback extremely seriously. Your case has been noted and passed to the product manager for further investigation. Our specialist had assisted with your request. Your understanding will be much appreciated. Thank you for choosing Klook and taking time to leave us a review! We are very sorry to hear about the inconvenience you experienced. Rest assured, this is not the type of service which Klook offers or permits our local operator to provide. We will surely raise this matter to the product manager and local operator to improve and provide an excellent service to all our customers. Our specialist has got in touhced with you and assisting with your booking. Thank you once again for your valuable time spend in leaving us a review. Thank you for choosing Klook and taking time to leave us a review! We are very sorry to hear about the inconvenience you experienced. Rest assured, this is not the type of service which Klook offers or permits our local operator to provide. We will surely raise this matter to the product manager and local operator to improve and provide an excellent service to all our customers. Our specialist has got in touhced with you and assisting with your booking. Thank you once again for your valuable time spend in leaving us a review.